November 22nd remains as a landmark in my life, and so my memory goes to the first November 22nd that made it a landmark! It was 1969, that would be 48 years ago, when I first arrived in the United States of America, landing in Seattle, Washington around 6.00 am on a NorthWest Airlines (presently Delta Airlines) from Tokyo, Japan (now called Narita). I was met by Brother Sam Smith ( to friends from Seattle Bible College) our Dean, and friend with his towering figure and disarming smile! And the rest becomes History! I would encourage you TODAY to look back thankfully on ALL that God has blessed you with, and in thankfulness, bless those whom God has placed in your lives right now. Sixth Sense or Divine Guidance? 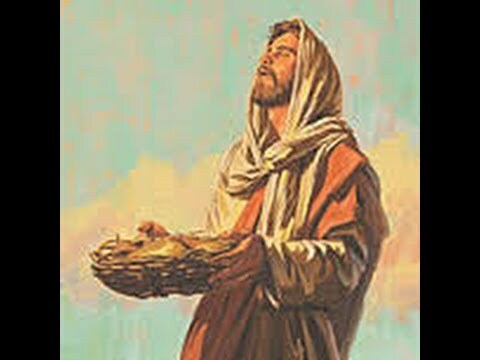 Here in this story, it seems like Jesus is addressing Philip but the story goes on to say, that Andrew, Simon Peter’s brother, was already “working the crowd”, as he was one of these people that “did not know a stranger”, and found this little boy who had a picnic lunch, with five loaves and two fish. And Jesus, now goes about getting everyone seated, so that they can enjoy lunch together. So when everyone is seated, Jesus takes the little boys lunch, prays and feeds the multitude – 5000 men plus women and children- over 10,000 people with the five loaves and two fish. So, the conversation was started between Jesus and Philip, but it is prefaced by the statement, ” he was testing Philip (and the disciples), but He (Jesus) already knew what He was going to do. What does this mean? My mind with its fertile imagination, sees Jesus having His time of devotions, and talking to His Father in prayer and looking at the lesson plan for the day! He is on a crash course of Training the disciples in a three year program to become “Men Who Turned The World Upside Down” (Acts 17:6 NKJV) or as some say turned it right side up! Trust and faith in God to provide for our needs, as we surrender what we have in our hands, into the hands of Jesus, and He will take the little we have and multiply it to bless the many. He wants the disciples to see, that however insignificant the person is (a little boy) and however little what is handed over to Jesus is (five loaves and two fish for over 5000 men plus), when we totally surrender to God all that we are and have, “Little is Much When God is In It”! The take away for me is that, Jesus sets us an example of how to order a productive and successful life. As we spend time with God and ask Him, what God’s priorities are for us for the day, we hear God prompt us through His Word and strong impressions on our heart, His plan and His purpose for the day! This is the way we will know what we will need to do when we come face to face with a problem – financial, health, social or emotional! What a practical lesson for us to cultivate into our daily lives. Quieten our hearts, speak to God, listen to him and follow God’s leading given to us in our quiet time!